Have you ever been consumed by darkness that felt like it would never end? How have the people who have overcome extraordinary heartbreaks rise up and get started on the road back to themselves? Here’s what I found—>They go all-in on healing like their lives depend on it…because they do. Seven years ago, I hit rock bottom. After the sudden loss of my brother-in-law on the heels of losing my husband’s mom I was sinking into a period of the deepest, darkest pain I’ve ever felt. I was in survival mode. I felt like a swimmer who wades out too far into unrelenting waters. I thought my days would never improve or brighten. 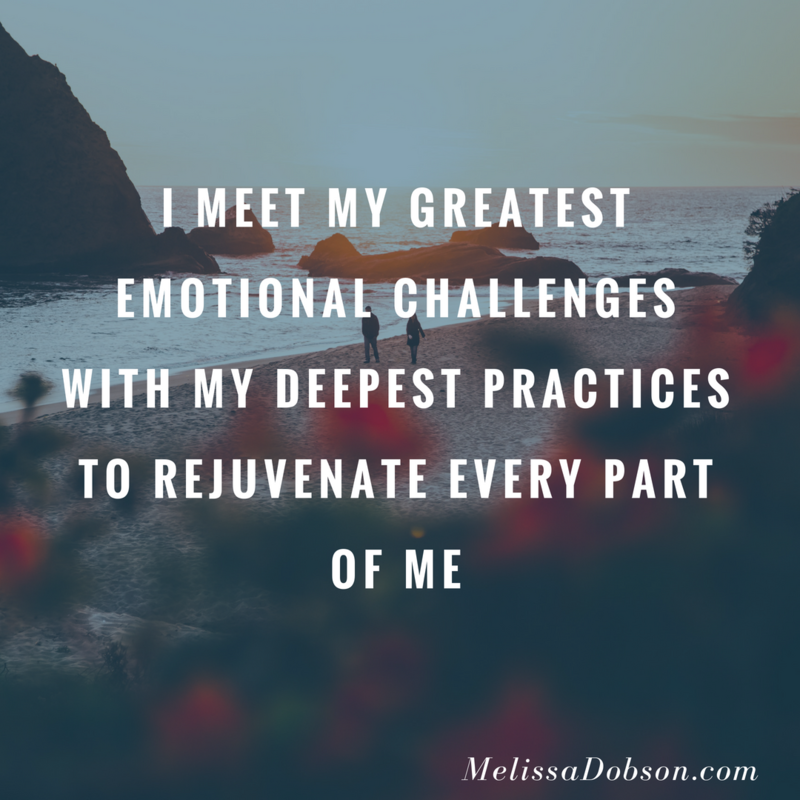 I felt myself bracing for the impact of the swirl of darkness around me including what looked to be the end of my marriage after we struggled to regain ourselves from the emotional shell shock of traumatic loss. I’ll never forget the moments of clarity that revealed that I had lost the way to my own light. Eventually, my broken heart began whispering to me in gentle thoughts…the thoughts that emerged in moments of stillness that I began gifting to myself. In those moments, I began to hear wisdom that felt like it was coming through me. What’s rarely shared about moments of hopelessness is that they’re a LOVING INVITATION TO RECONNECT WITH OUR OWN LIGHT. Too often, we get hijacked by our inner-tormentor when what we need most is every bit of our own love. 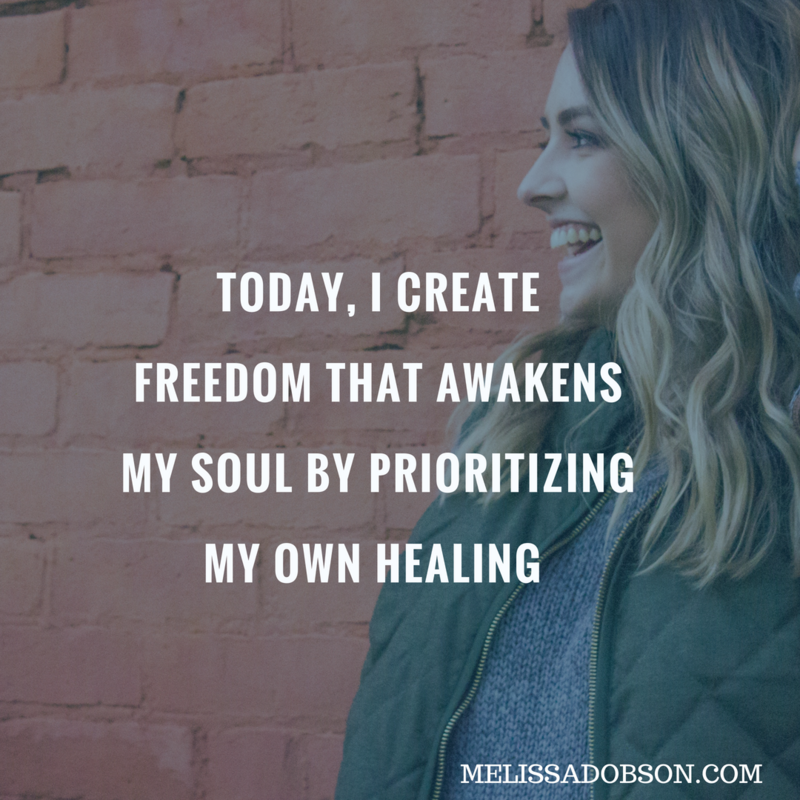 Out of desperation and a realization that what I was doing wasn’t working, I made a decision that became the turning point of the problems within my marriage: I prioritized reawakening my own light. On the way out of darkness, I had to find out the hard way that some of the things I was doing weren’t working. I had to get real and take bold steps to reclaim myself. Focus on you. I thought that being there for the people in my life without question was the path toward purpose and healing. Turned out, it was a fast track to relationship destruction. It became clear to me that people don’t want someone to “fix” them. That makes everything worse. It breeds resentment. The way to improve the well-being of those around you, in my experience, is to embody well-being and possibility for healing. People will start to ask you what you’re doing to take such good care of yourself. That’s your opportunity to share your favorite things with them. Get clear that the only one who needs to change is you. Stepping into your own best version in your relationships, requiring yourself to become the strong, resilient partner, family member, and friend models that behavior for everyone around you. We inspire those around us with our actions, our commitments and intentions. Not by expecting change from them. Find 1-3 mentors that you deeply admire and immerse yourself in their work. The right teacher at the right moment can offer one insight that forever changes you. There’s a wealth of information available to you just by opening to your circle of support, books, online videos and courses. I followed my heart as it led me to each next step. It was foreign to me, but everything in me told me that this was the way back to myself. It saved me. Invest in yourself. To expedite healing, please hear me when I encourage you to invest in yourself. Instead of looking purely at the cost of a book, program or retreat experience…ask yourself what it would cost NOT to invest in it. I still struggle with this one, but I can tell you wholeheartedly that showing up for your healing in this way sends a clear message to the universe that you’re all-in. Feeling broken is an opportunity to rebuild. You don’t have to do it on your own. Follow your heart to the opportunities that won’t leave you. Do this for yourself without regret. Share what you’re learning. If you want to learn something, learn to teach it. Teaching can be in your one-to-one conversations or with an Instagram post. It’s how I began emerging out of my own darkness. The ripple of your healing can multiply each time you share. You’ll be astounded by the outcomes beyond what you can imagine that, quite frankly, can save lives. Remember this, darkness doesn’t last forever. This time of struggle will end. In fact, it can become the thing that leads you to the deepest transformation of your life. Enjoy this? Head over to go deeper with my download, "Hang In There: 3 Tips to Ground Yourself Through Emotional Upset" and to join my email list to receive more tips, inspiration and info on my healing programs and events.